Recruitment systems help you to organize everything related to the hiring process in one place. Selecting and utilizing the right recruitment software is crucial to the success of your organization’s recruitment process. It is important to focus on key features and capabilities that will help your business effectively compete for top talent. Here, we present a few key capabilities of online recruitment platform that are necessary for organizations to be successful in attracting and managing top talent. Identifying and recruiting top talent involves a lot more than simple storage of candidate resumes. Recruitment has become one of the most important and difficult business endeavors. HR recruitment now involves the tracking and managing of various types of candidate-related information. A team-based approach allows an organization to use the network, skills, and experience of every employee in the talent acquisition process. Also, this is a critical business strength that employers need to build in order to compete for top talent. A robust recruitment platform that has the latest features can streamline the entire hiring process from requisition creation and publishing, to interviewing and onboarding. 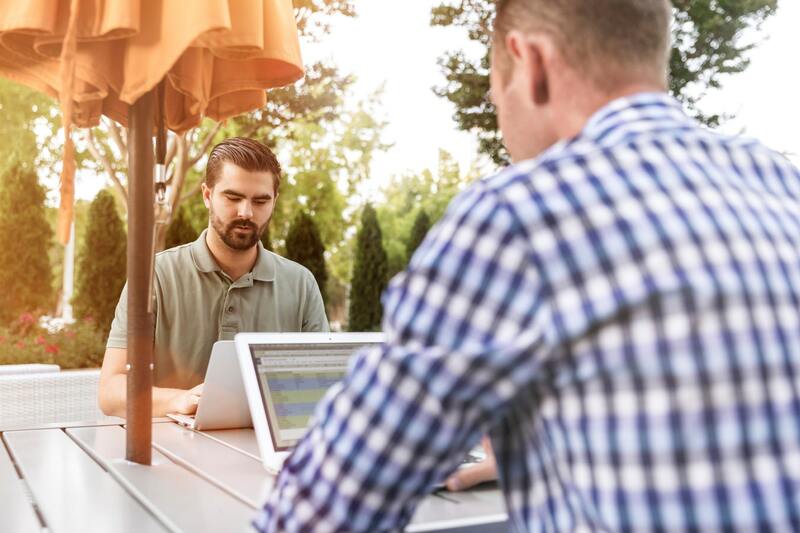 Today, organizations are increasingly on the lookout for convenience to access their business systems from any location with any connected device. A cloud-based software solution is much faster to implement and costs only a fraction of what on-premise solutions can end-up costing. Quick implementation and a lower cost of maintenance are key considerations for an organization when selecting a new online recruitment solution. Businesses should look for an online recruitment solution that is built for the cloud era. The software should be easy and quick to set up and integrate with your existing business applications. Social networks such as such as Facebook, LinkedIn and Twitter have become a major part of recruitment today. Most HR recruiters are using social media to identify, source, and connect with talented candidates. It helps them expand their reach to all those online platforms where top talent can now be found. When looking for an online recruitment system, organizations should pay attention to the application’s ability to help your employees easily share open positions with their friends and colleagues. Are the social media recruiting features easy to use? Does the system track all activities and provide real-time reports and analytics? The online recruitment system should make it simple for your employees to easily share jobs with the network groups.